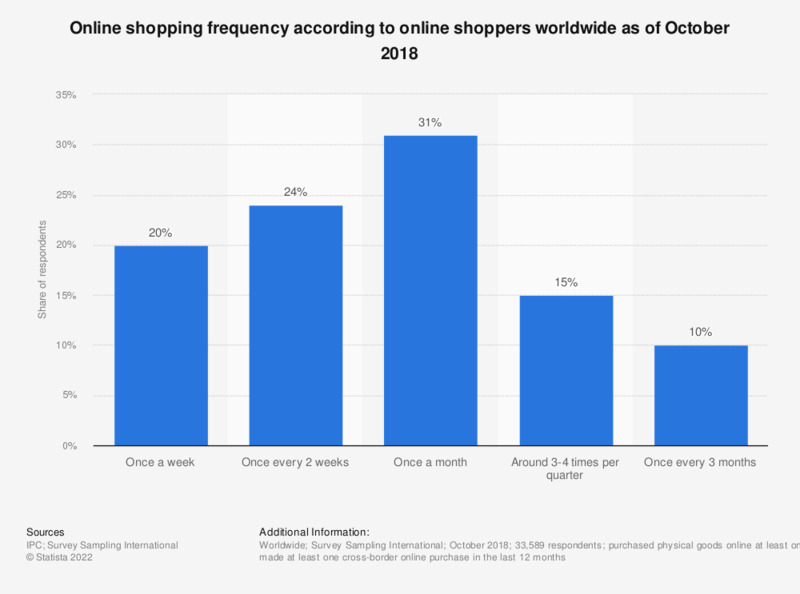 This statistic presents the online shopping frequency according to online shoppers worldwide as of October 2018. During the survey period, 20 percent of online shoppers worldwide stated that they purchased physical goods online on a weekly basis. Question: Over the past 12 months, on average how often have you purchased physical goods online (excluding groceries)?